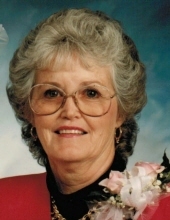 Jacqulyn (Jackie) Kay Benge, age 86, passed away peacefully in her home in Orangevale, CA on April 2, 2019 after a long battle with Parkinson’s disease and PD related dementia. She shared over 69 years of marriage with her husband, Vern Benge. Born in Pomona, Kansas, she was the daughter of Clyde and Lucille (Welch) Rice. When Jackie was a teenager her family moved to Orangevale. She attended San Juan High School in Citrus Heights where she met Vern and they were married on July 19, 1949. As a long time member of Redeemer Covenant Church in Orangevale she was involved in many church functions and outreaches. She enjoyed a variety of activities and hobbies which included crocheting, sewing, quilting, scrapbooking, square dancing and bowling. She especially loved camping and fishing with friends and family, including children, grandchildren, & great grandchildren. She is survived by her husband Vern Benge, sister Shirley Claudeen Smith, daughter Verna Schooley (Bob), Sons Clyde Benge and Kevin Benge. Grandchildren: DeAna Schooley, Emilee Key (Jason), Kelli Poindexter (Jason), Tyma Benge, Amber Riccobuano (Mike), Erin Fackler (Forrest), and Chris Benge. Great grandchildren: Courtney Rosenkrans (Joseph), Ethan Turner, Rylie Poindexter, Alexander Alfiere, Natalie Kelly, Carsen Riccobuano, Zoey Fackler and Leeland Fackler. She was predeceased by sister Nancy Popejoy, great granddaughter Kaycie LeeAnn Turner and great grandson Payton Gabriel Kelly. Jackie was loved and will be missed by all who knew her. She will be remembered for her love for her Lord, love for her family and friends and her concern for those in need and less fortunate. A Celebration of Life will be held on Friday, April 26 at 11:00 a.m. at Redeemer Covenant Church, 6800 Main Avenue in Orangevale. A reception will follow. To send flowers or a remembrance gift to the family of Jacqulyn Kay Benge, please visit our Tribute Store. "Email Address" would like to share the life celebration of Jacqulyn Kay Benge. Click on the "link" to go to share a favorite memory or leave a condolence message for the family.